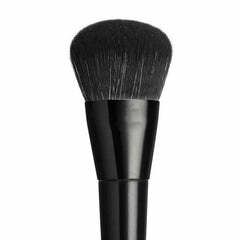 This professional blending brush is a true makeup magician! You can use it to blend your shadows or buff your concealer, liquids or powder to perfection. The soft cruelty-free bristles glides smoothly over all your hard-to-reach areas for a flawless finish. This beautiful tool is particularly perfect for blending concealer for a flawless look.